Here I've been scolding myself for not having trimmed away those grass weeds. 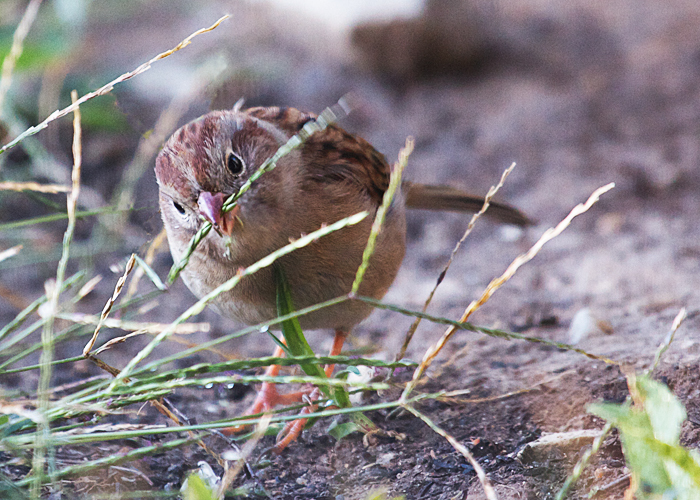 And then this morning a field sparrow comes and breakfasts on the seeds. I guess a few weeds aren't all bad.